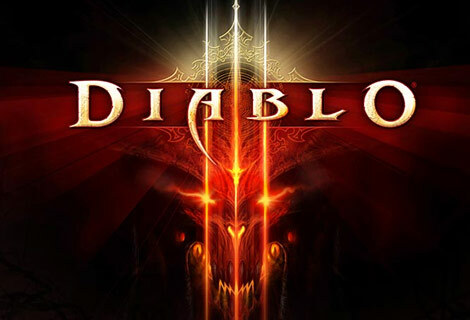 Blizzard’s latest installment in the demon-slaying action RPG series turned 3 this past weekend, and they decided to do something a little special for D3 players by addressing all things bovine and the secret cow level. The cow level was mostly a running gag by Blizzard that began back in the first game in the Diablo series. If you clicked one of the cows in Tristram enough times, instead of the requisite “moo” the player’s character would break the fourth wall and talk to the player – telling us either “Yup that’s a cow alright!” and reminding us that “Hey, I am no milkmaid!” As we clicked more, the game cycled through more of these quips from our character. This little easter egg was what prompted the rumor of a secret cow level, which as legend has it, stated a portal to it could be opened if a player clicked a cow enough times. It’s alright, I clicked the hell out of those cows too – it was such a ridiculous thing that I had to see for myself. Of course while taking the official stance that there is no cow level, they fed the rumor machine by making “thereisnocowlevel” a cheat code in Starcraft. Diablo II took that rumor and ran with it, creating a cow level that could be accessed combining a tome of town portal and Wirt’s leg in your Horadric cube. It eventually became a popular place for players to grind experience and culminated in a battle with the Cow King. The cow level NOT the cow level is filled with shrines that you will need because of the mad quantity of mad cows coming to get you. I was playing on Master difficulty with a 40-something monk and those shrines and sweeping wind were my best friends for the next few minutes. Scattered around are farmers, no doubt slain by the new bovine masters, dropping tons of gold on top of the already ridiculous number of chests on the map. I had to make 2 trips to town for salvage to actually collect all the loot. There are gags harkening back to Diablo II, like a quest from the ghost of the then-slain Cow King, who wryly quips that these cows must have some sort of beef with you on a quest called “Tipping Point.” And if you take a look at the pictures, that’s right, some health globes are actually steaks. I will close by saying this – this place is difficult. On Master difficulty rare spawns showed up with multiple packs of elites (seriously always with fire chains) and my first time through while dealing with them I stumbled upon the map boss, the Cow Queen. She throws so much lightning that I would rank her as more difficult than many of the bosses in the game just based on the sheer damage output she hurls at you, and in my case my gear wasn’t exactly dripping with resistances. This is one of the rare times I died playing with this character so far – she takes very little damage, and there were times when both potions and breath of heaven were on cooldown, leaving my to my doom. But when you’re done with her you do get 4 radiant chests. Unfortunately no, there were no bovine-themed legendaries, at least none that dropped for me.